The addition of a high-quality porch can completely transform the look of your home. It will also allow you to provide a distinctive welcome for your guests, creating an inviting impression from the offset. Adding a porch to your home also provides valuable extra space which can be used to store shoes, coats and more! 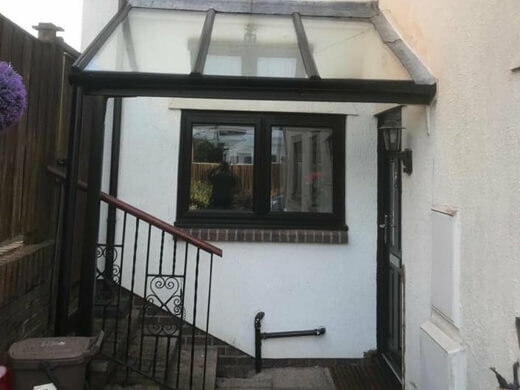 We have been designing and installing porches for customers in Cardiff and the rest of South Wales for many years, which means that we have the experience and expertise to execute your porch design without a hitch, perfectly matching it to your property. 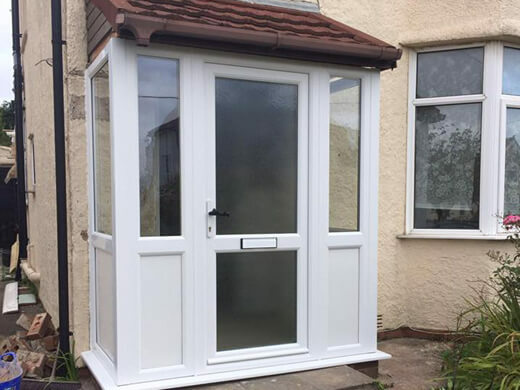 We can offer guidance as you plan, design and install your new porch because our team of expert advisers are on hand to help you every step of the way. We have decades of experience and highly competitive prices! 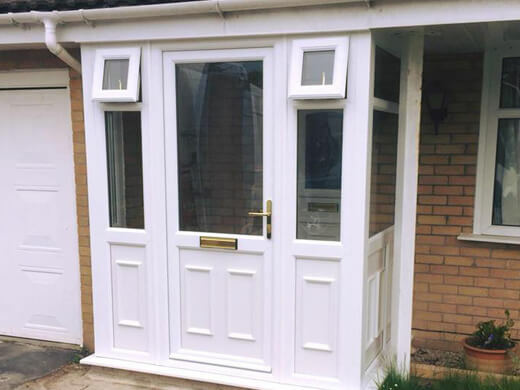 Here at South Wales Windows & Doors, we have installed porches for customers across the country. 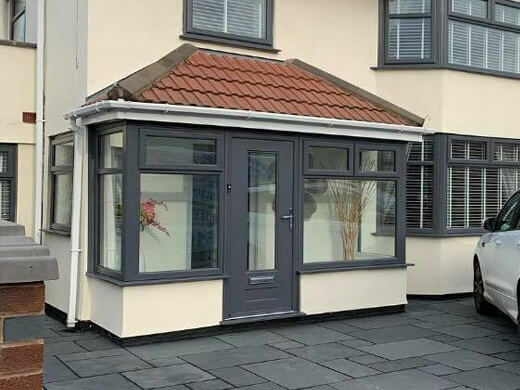 In our porch gallery, you can see some examples of completed porch projects which will help you to decide which style of porch best suits your own home. All our doors are fitted with extremely secure multi-point locking, as standard. 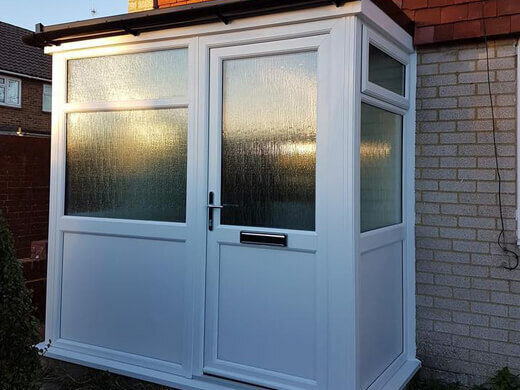 So, you can be sure you’re improving the safety of your home when you buy a porch from us. 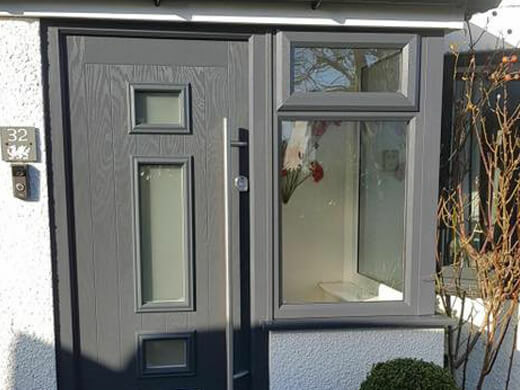 Our team of advisers, designers and installers will be there to assist you every step of the way as you choose your new porch. You can even choose have your consultation at home if you prefer. We have an extensive choice of styles and finishes to suit any home. We do our best to accommodate whatever vision you have for your new porch. We have decades of experience - our knowledge and skills are unrivalled, as are our competitive prices. We can help you design and install a beautiful new porch, no problem. 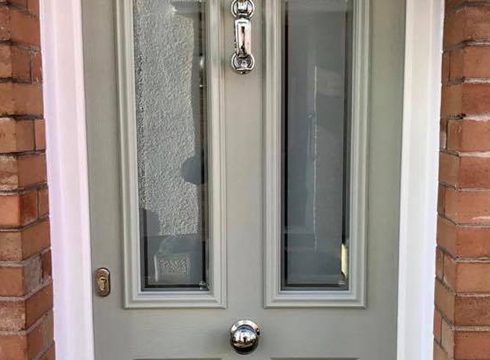 If you would like any further information regarding our high quality range of porches in the Cardiff and South Wales area, please fill in our online enquiry form or call us on 02920813488.